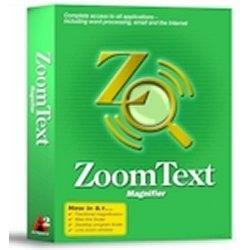 ZoomText Level 1 magnifies text and graphics programs. Magnify the full screen, a portion of the screen or a single line at a time. Three built-in fonts provide smooth-edged characters at any magnification. Simple pop-up menus give you instant access to all of ZoomText's features. 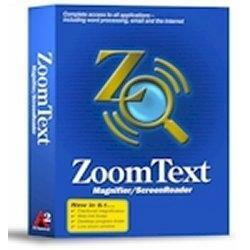 With easy to use features, ZoomText makes computers accessible and friendly to low-vision users. ZoomText Level 2 offers a fully integrated magnifier and screen reader � designed specifically for the low-vision computer user. It includes DocReader�, an innovative tool for reading text from any Windows application. A few clicks and you can sit back while DocReader automatically reads through complete documents, including web pages and email.